Flowers produce chemicals in their bloom, providing a fragrance necessary for their survival. Alluring to pollinators and turning away predators, these plants use specific chemistry in mixing essences to further their existence. 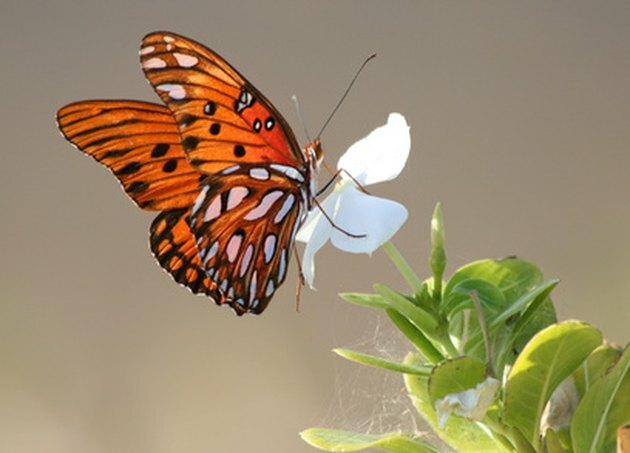 A butterfly drawn towards a flower due to alluring scent. 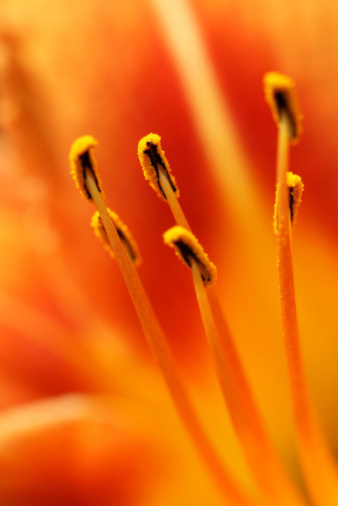 Why Do Flowers Produce Scents? Flowers produce a unique floral musk to signal pollinators that the flower is ready for fertilization. Pollinators such as hummingbirds, bees and butterflies are drawn into the scent and, by going from flower to flower, complete the process of transferring pollen to an egg, creating fertile seeds. If a herbivore animal approaches a flower, however, an unpleasant scent of cardiac and steroidal glycosides is produced within the bloom, acting as the flower's form of protection against being eaten. How Is a Flower's Scent Created? A flower's scent is created within the petals where essential oils are stored. When there is warm weather, the oils combine and evaporate, producing a unique scent for every flower to attract pollinators. The most common oil scent given off by flowers is methylbenzoate. Each flower variation has a specific scent to guide pollinators from one flower to another, heightening the chances of pollen being successfully fertilized. Once a flower has been pollinated, a hormone ethylene is produced within the bloom, which stops methylbenzoate, the chemical responsible for the scent, from further being released. This encourages pollinators to be drawn toward other flowers which haven't yet been fertilized to continue the process.